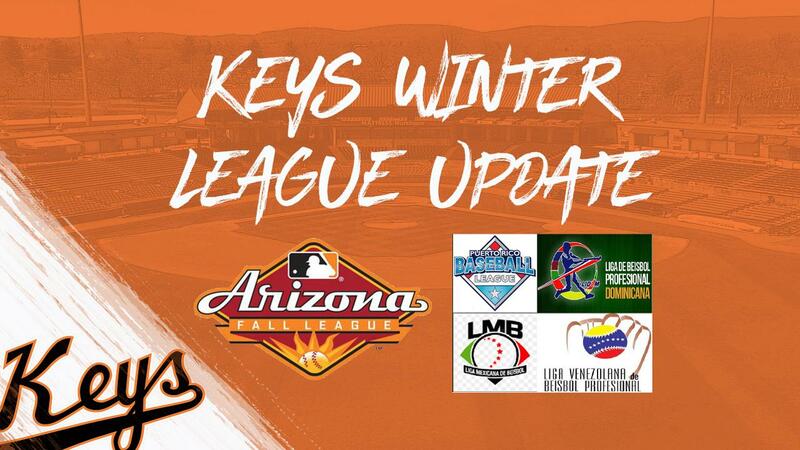 Although the baseball season may be long over, Winter Leagues are in full swing both domestically and abroad. With the Arizona Fall League in its final week, Tanner Chleborad is closing out his tenure in style. Meanwhile in the Venezuelan Winter League, a change of scenery has kick-started former shortstop, Erick Salcedo in the Venezuelan Winter League. Pitching in relief for the Glendale Desert Dogs, Chleborad ranks fourth in the AFL in ERA (1.42) and paces his team in that category. In 10 games, the former Washington State product has surrendered only two earned runs on 14 hits in 12.1 innings. He has walked four and struck out 12. Chleborad has not surrendered a run of any kind in his last six appearances (nearly one month). In 43 games this season with Double-A Bowie, the right-hander registered a 3.61 ERA and four saves in 43 appearances. Offensively, Ryan McKenna paces the league in slugging percentage (.603) and is tied for first in extra-base hits (10). The outfielder also ranks second in on-base percentage (.472) and is sixth in batting average (.345). He was selected to the Fall Stars Game. Outside of Chleborad and McKenna, infielder, Steve Wilkerson , is slashing .294/.378/.353 with four doubles, nine RBIs and eight runs scored in 19 games. Former Frederick starter, Chris Lee , is 1-1 with a 3.05 ERA in six starts. Jay Flaa and Tyler Erwin have also made 10 relief appearances apiece, with Flaa going 0-1 with a 4.91 ERA and Erwin posting an 0-1 mark with a 6.00 ERA. Glendale concludes its schedule on Thursday. After being the VWL season with the Tigres de Aragua, Salcedo was traded to the Bravos de Margarita in early November. In his first eight games with his new team, the utility man is batting .300 with four runs scored. Salcedo has split time between second base and shortstop. After suiting up for Frederick in 2016, the Venezuela native has spent each of the last two seasons in Bowie, while also receiving non-roster invites to Orioles spring training.